The Real Deal and Urbanize have reported that City Century, the American affiliate of Shanghai’s Shenglong Group, filed an initial study last week that details a second option of its massive, three-tower Olympia development in the South Park. 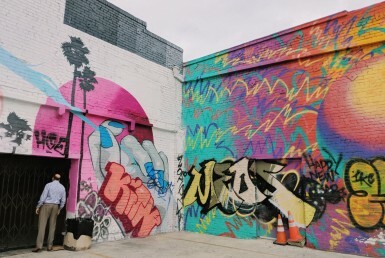 The new alternative proposes reducing the number of residential units and the size of common spaces in favor of a 1,000-key hotel, Urbanize reported. The total number of housing units would drop from 1,367 units to 879, according to a study filed with the Department of City Planning. Olympia would also include 40,000 square feet of restaurant, retail and commercial space. The 163,000 square feet of open space for amenities and 2,131 parking spots would be trimmed down to make room for the hotel. Architecture firms Skidmore Owings & Merrill and Patterns are designing the project at the intersection of Olympic Boulevard and Georgia Street. Construction is expected to occur over 48 months and is slated for opening in 2023. City Century has been keeping busy. The development firm is also planning a 24-story residential tower at 1233 S. Grand Avenue in the same neighborhood. 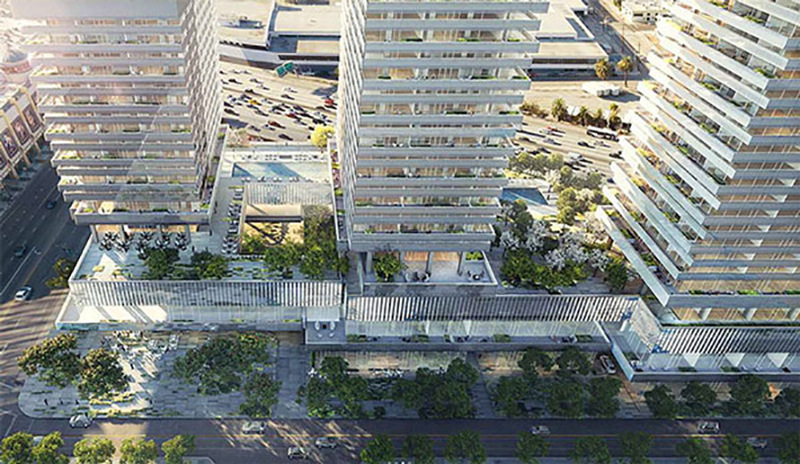 The 43 to 65-story Olympia towers are just three of the many projects shaping the Downtown Los Angeles skyline. Mitsui Fudosan is close to breaking ground on the 39-story 8th, Hope and Grand Project, joining Greenland’s Metropolis and Oceanwide’s Oceanwide Plaza.